Well I think we all had an idea this was going to happen. Reggie has been in talks with Rockstar Games for a while now and it seems to have paid off big time. You can throw out the words "kiddie" and "Wii" in the same sentence, this one is going to be a blood bath. Mortal Kombat: Armageddon, The Godfather: Blackhand Edition, Prince of Persia: Rival Swords, Driver: Parallel Lines, Scarface: The World is Yours, Resident Evil: Umbrella Chronicles and now Manhunt 2. The Wii is scoring alot of M-rated games! Prince of Persia: Rival Swords is listed as "teen" rated, even though the original gamed was rated "mature". I for one will not buy another Ubisoft port that is also watered down with all the blood taken out. Shame on them. 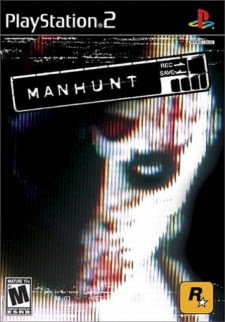 All the other games listed are going to bring the "M" rating big time-especially Manhunt 2. Wild. Hey cool blog and thanks for the info. Thought you may be interested on some of my reviews also, we share the same interests it seems. I did an AllPSPGames Review, a PSP Blender Review and a Satellite TV Elite Review. Well enjoy and stop by and say hi sometime.